Scarification in botany involves weakening, opening, or otherwise altering the coat of a seed to encourage germination. The seeds of many plant species are often impervious to water and gasses, thus preventing or delaying germination. Scarification is often done mechanically, thermally, and chemically. Seed scarification is scarring seeds. A seed's hard outer coat makes it impervious to gasses and moisture that would cause them to germinate. To overcome this you need to scratch, break or nick the seed coat. In nature, this naturally occurs when seeds pass through the digestive tract of some animals, through freezing temperatures or microbial activities that break down the seed coat. 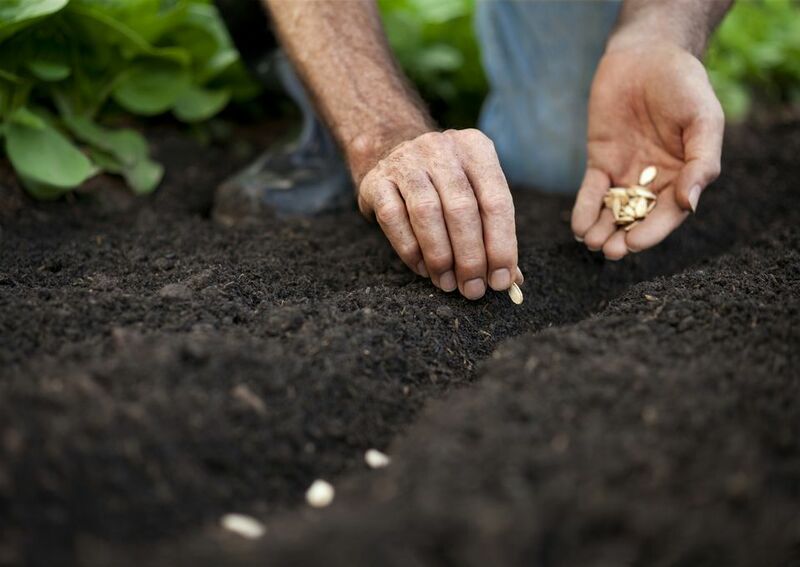 Seeds that need to be scarified before sowing are usually large or have thick seed coatings like seeds in the morning glory family, runner beans like purple hyacinth beans vine or canna seeds. Seeds with hard coats may need to be scarified - the process where the seed coat is modified in some way so that moisture can enter and germination occurs. Acid (this can be quite dangerous and you must follow directions carefully!). The type of scarification will depend on which seeds you are germinating. Physical dormancy is due to structural limitations to germination such as hard impervious seed coats. Under natural conditions weathering for a number of years weakens the seed coat. Certain seeds, such as the sweet pea, have a tough husk that can be artificially worn or weakened to render the seed coat permeable to gasses and water by scarification. In some tree species, dormancy is the result of a thick, hard seed coat that may be broken by scarification. In nature, the seed coat may be broken by microbial action, passage of the seed through the digestive tract of a bird or other animal, exposure to alternate freezing and thawing, or fire. Seed stratification is sometimes better known as cold stratification. The seed of many tree species will not germinate until they have been exposed to cool temperatures and moist conditions for several weeks or months. Gardeners can accomplish the same results indoors by a process called stratification. Tree seed can be stratified by placing the seed in a moist 50:50 mixture of sand and peat moss. Suitable containers include coffee cans, plastic jars, and cottage cheese containers. (Punch holes in the lid of the container to provide air.) Seed can also be stratified in plastic bags. Stratify the seed in the refrigerator. The seed of some trees, such as redbud, have hard impermeable seed coats and dormant embryos. They require both scarification and stratification for germination.